What Makes The Varieze Such a Great Plane to Own And Fly? 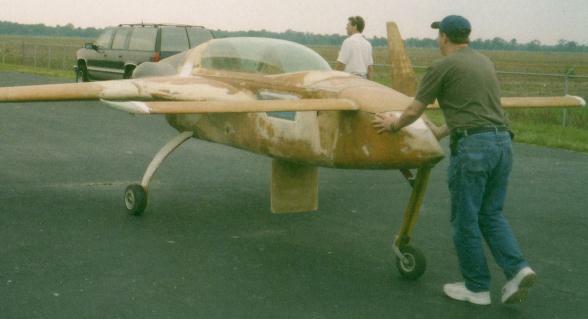 Sine the creation of the Varieze by Burt Rutan in the 1970's they have become the chosen plane to fly by many. They are light weight, agile, responsive, economical and fast. These are all the things you look for in a plane when choosing to buy one. The Pilots who fly them have come to love them for their pure sinplicity. They are not complicated to fly and are very stable in flight. When it comes to getting from point A to point B they do it quickly and economically! Another one of the great things about the Varieze is they are very safe to fly, they will not stall. These planes are built from composite materials that are very strong and light weight. Two people can comfortably fly with two custom suitcases over 800 miles on just 24 gallons of fuel in less than 4.5 hours. That works out to about $265.00 for a round trip flight of 1600 miles. That's not bad when you get right down to it. The cockpit is built to accommodate two people who are 6 foot 6 inches tall and weigh up to 220 lbs. both seats are reclined in the Semi-supine position for maximum comfort. The passenger in the back does not have to straddle the pilot with his legs, there is plenty of room to stretch out for maximum comfort once again. The rear seat also has it's own control stick in case the pilot might become incapacitated. The Instrument Panel is designed to hold Eight 3 1/8 instruments along with up to Four Two inch instruments and a 720 Chanel radio. If the pilot needs more leg space, you simply install less gauges to allow more leg room. Another advantage is the full length canopy when flying on cool days of 10 degrees F the plane will stay at a comfortable 70 degree temperature. On hot days the vents more than keep you cool and comfortable as well. The fuel system consists of two wing tanks and a fuselage tank which are all equipped with visual sight gauges. Each wing tank holds 12 gallons of fuel with the fuselage tank holding 2 .5 gallons. Inside the plane the fuel handle is located right on the arm rest near the stick. When the handle is facing left, it is on the main wing tanks. If the reserve is on the handle will stick straight up and interfere with your wrist reminding you the reserve is on. To turn the fuel valve off simply turn the handle all the way to the right. Varieze Fuel Valve, Located Center Left of Picture. The control system is very responsive especially in pitch, yaw and roll are normal. The rudders are built in a way to operate outward only providing two individual systems that can be deployed together to act as a mild speed brake. The side stick controller is used to allow the pilot the smallest workload possible. 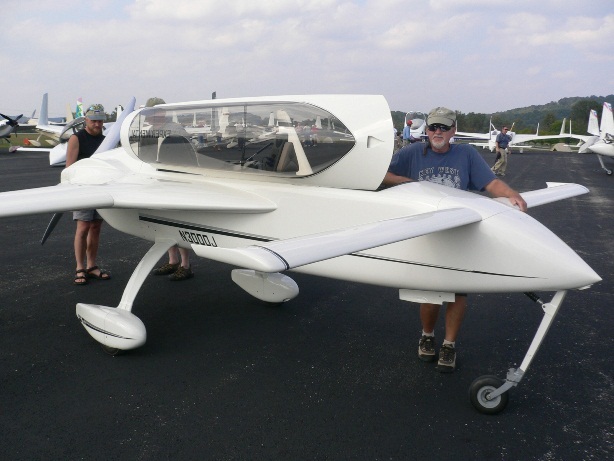 Their are many more unique features to discuss about this wonderful homebuilt plane. The Varieze brakes are actuated by depressing both rudder pedals to full rudder deflection, after that you are braking. By using this type system for the braking you are able to decrease the amount of maintenance needed. Insuring that full aerodynamic control or braking is employed before the wheel brakes are applied. The Emergency brake is applied on the left wheel. To park it, all you have to do is lower the nose down to set on it's rubber pad, thus preventing movement. To trim the plane out, there are adjustable levers that are used to adjust all three control axes. 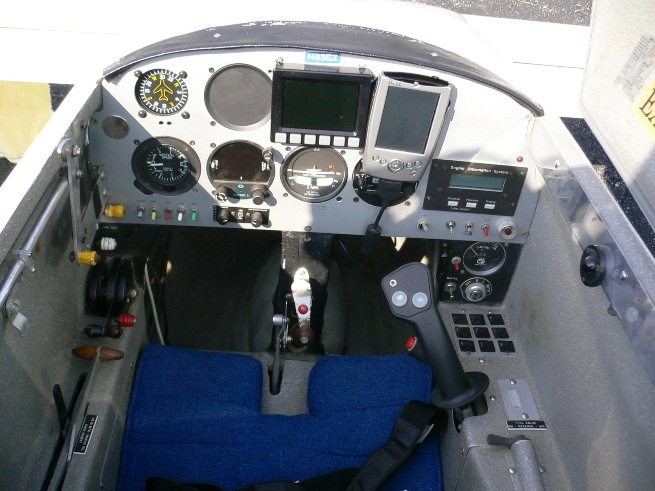 Yaw trim is adjusted by off setting the left rudder stop an instrument panel mounted lever. This control also doubles for the parking brake when pulled to the extreme position. Roll trim is accomplished by the amount of twist built into the wings. Many of the early Variezes employed an R/C Servo which was built into the wing, allowing the pilot to adjust the trim tab by a button on the control stick or dash. Belly Air Brake Used in Pattern to Help Slow Plane Down. To help slow the plane down on approach to landing it has a air brake that can be deployed to help slow the plane. The control for this is located on the right arm rest, to deploy it you just pull the lever back. The maximum speed with the air brake down is 90 kts or 105 mph if the speed gets above 110 mph it will automatically close. When pilots are first learning to fly the plane it gets used a lot. After becoming more efficient with their plane most quit using it. 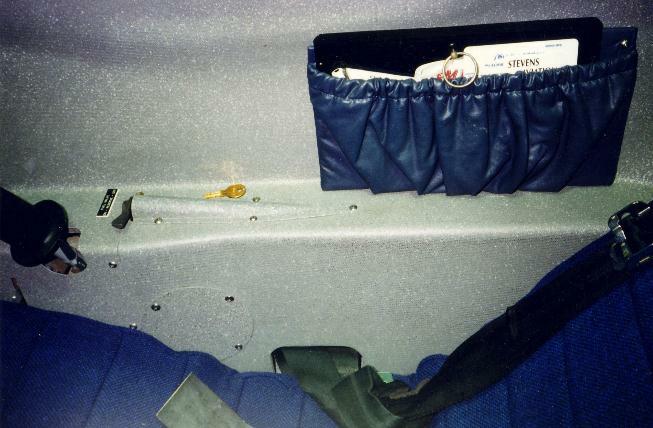 See the cockpit picture above for a look at the air brake handle on the left arm rest with wood handle. When taking off keep her straight with slight aft stick to keep the pressure off the nose wheel. Once you reach 45 to 52 raise the nose wheel off the ground and accelerate to 60 kts and lift off. Once you have lifted off keep the nose of the plane on the horizon. If at gross weight, lift off at 65 kts or 75 mph and smoothly climb out. You will find the plane very pitch sensitive and responsive to stick movement. Once you have cleared the runway and are climbing out, retract your nose wheel and you are on your way. When making your approach for landing you really have to watch your speed close. The Varieze is such a clean airplane that it can be very hard to slow down, they glide very well. Remember throttle is for altitude and elevator controls your speed, don't forget to use the air brake as well. When in the pattern set up your sink rate early, and keep those pattern speeds between 80 & 90 kts. If it is turbulent do 75 to 80 kts. When you turn on final approach your speed should be no faster than 70 kts 80 mph. When coming in for a landing make a complete flare and touch down at 55 to 60 kts or 63 to 69 mph. Remember to just do your flare then fly it in for the landing do not make a full stall landing. Thanks for flying in to see whats new with "Varieze", feel free to Bookmark this page and fly-by from time to time and see whats new. As always, stay safe and Happy Flying! !